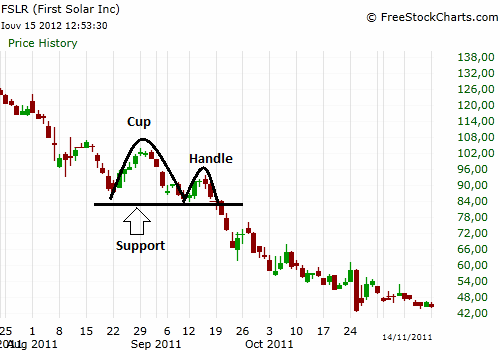 The cup and handle pattern is an alternative of an aggressive uptrend. It signifies the continuation of an already existing uptrend. The handle of the cup implies aggressiveness among buyers, who enter long positions after a relatively small downward correction. 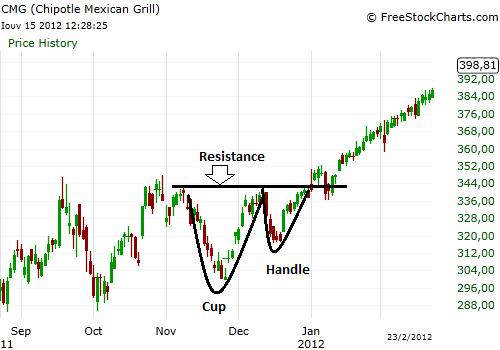 We trade cup and handles just like breakouts. The inverse cup and handle signifies the continuation of an already existing down trend and implies aggressiveness among sellers who sell after a relatively small upward correction. We trade inverse cup and handles just like breakdowns.